We will keep today’s blog short and straight to the point. 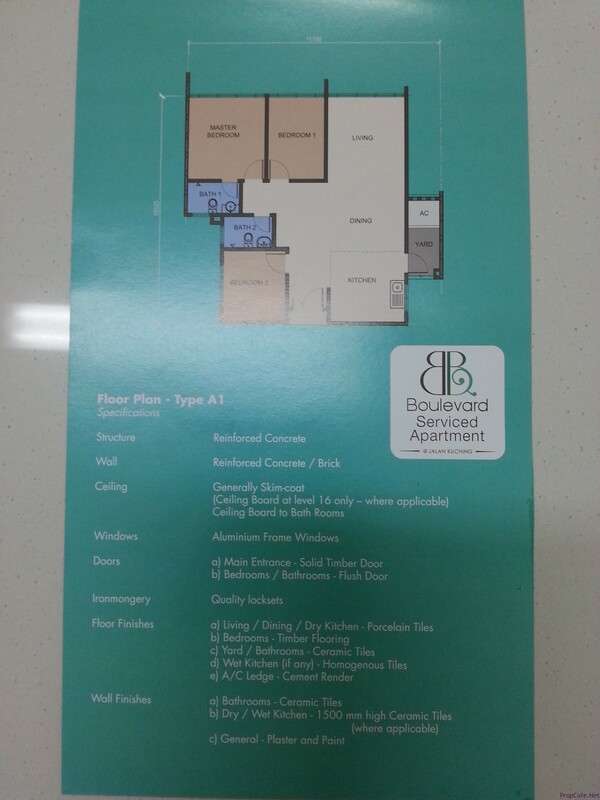 The Boulevard is serviced apartment and second phase of The Boulevard Business Park developed by Magna Prima. 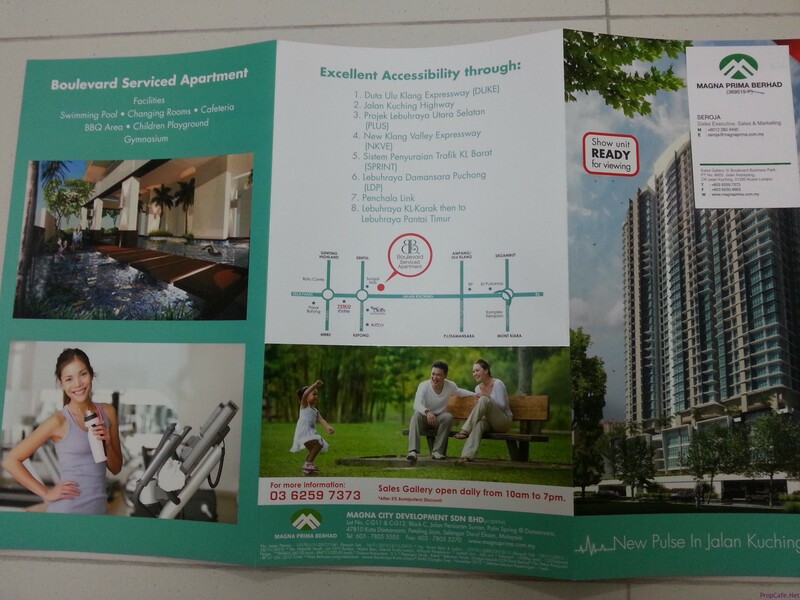 The development consists of 4 phases which the first shoplots (launched sometimes ago and some units are still available from developer), current launch serviced apartment and retail boulevard and concept mall. The project located about 5km from city centre and just before the roundabout towards Kepong and Selayang on the famous with traffic Jalan Kuching. There are two views here, Batu Caves and KL View. KL view comes at slight premium despite the west facing. 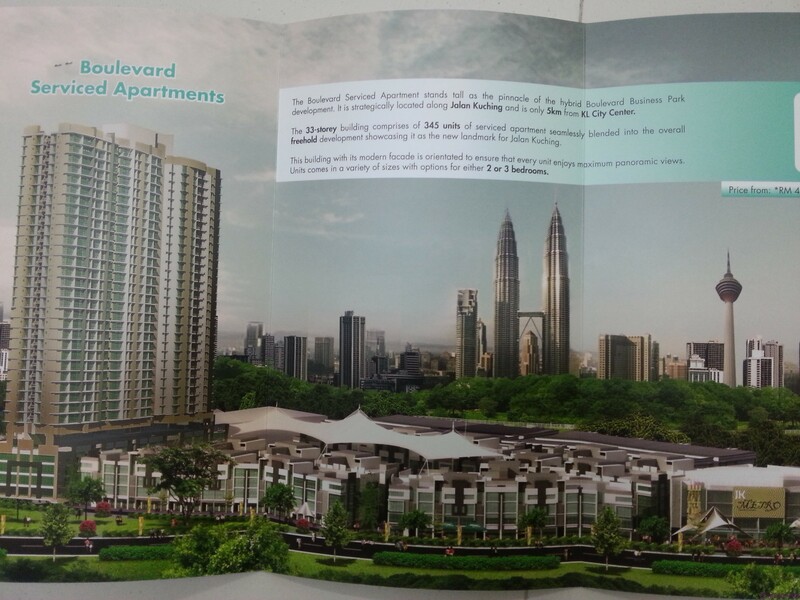 Despite the advertised attractive price from RM405K, the development is priced from RM480psf. There are in total 345units and the unit size starting from 1010sqft all unit layouts are quite identical with few variance with exception of unit no. 11 and 12. The common facilities located on 5th floor and quite basic with just mediocre size pool, gym, playground and BBQ area. Interested viewers can drop by the sales office which just located beside the site at Jalan Kuching. Do you think it’s good for investment?